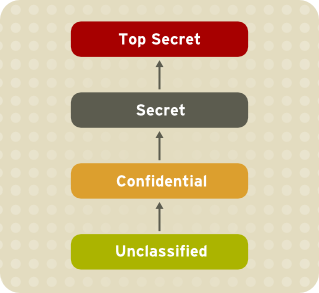 Figure 5.1, “Levels of clearance” shows levels of clearance as originally designed by the US defense community. Relating to our internal schedule example above, only users that have gained the confidential clearance are allowed to view documents in the confidential category. However, users who only have the confidential clearance are not allowed to view documents that require higher levels or clearance; they are allowed read access only to documents with lower levels of clearance, and write access to documents with higher levels of clearance. 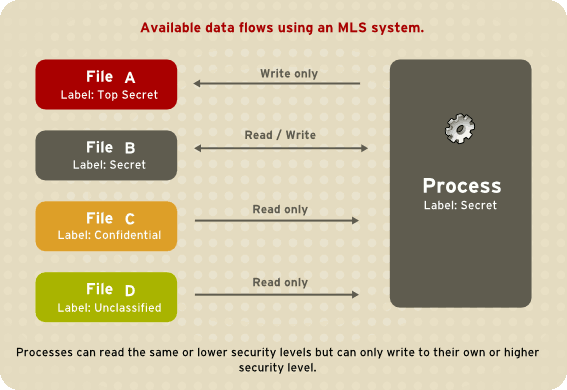 Figure 5.2, “Allowed data flows using MLS” shows all allowed data flows between a subject running under the "Secret" security level and various objects with different security levels. In simple terms, the Bell-LaPadula model enforces two properties: no read up and no write down.